Yesterday I had the great pleasure in being part of the global WiDS2017 event show casing women in all aspects of data science. The main conference was held at Stanford but over 75 locations world wide had rebroadcasts and local events, of which Reading was one. In addition to spending a great evening with some amazing women, I was asked to speak in the career panel on my experiences and overall journey. The evening was kicked off by the amazing Ifunanye , one of the organisers of the event, who you could tell was very happy to be in a data science career as it was a combination of all her skills. This was to be a recurring theme for the evening. We joined up with the main WidS2017 conference for the keynote speech from Diane Greene of Google, who gave us an insight into the very circuitous path she took to her current position. 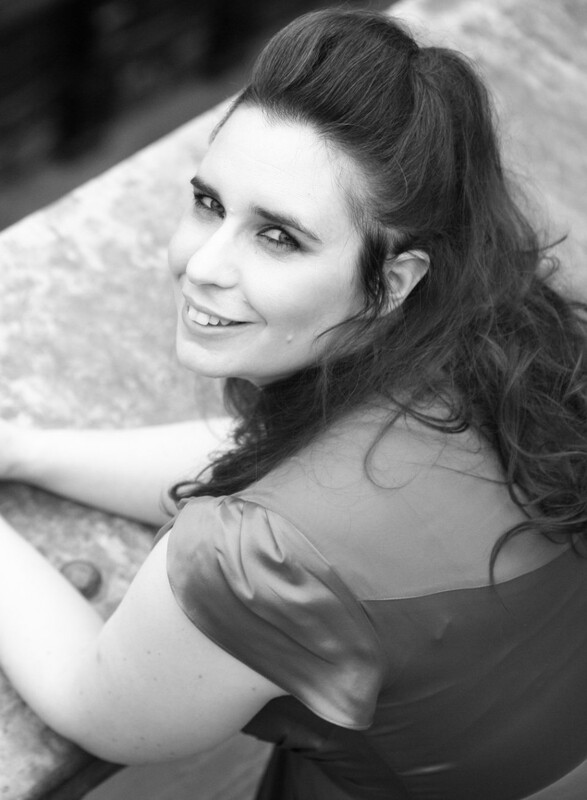 Taking a degree in mechanical engineering almost by accident and combining her studies over several years with her love of sailing, she eventually ended up as one of the founders of VMware. She nearly didn’t join Google due to the feeling, common to a lot of women, of doubt as to whether she could do the role offered. A lesson there in self-confidence to everyone listening. She went on to discuss some the data problems Google had and how they overcame them. The custom designed hardware that allows Spotify queries to drop from 4 hours to 12 seconds and the University of Denver to query patient records in 15 minutes rather than 12 hours. After a whistle stop tour of the machine learning applications within Google she agreed that the technological revolution would cost jobs, but that society needed to embrace the change and those displaced, and that the nature of jobs would change, just as it did after the industrial revolution. One of the questions covered what would happen if the network for self driving cars went down and Diane quite rightly pointed out that we are completely dependant on power even now, and that’s what we need to make resilient. It was a great keynote and worth watching when the live stream appears on YouTube. 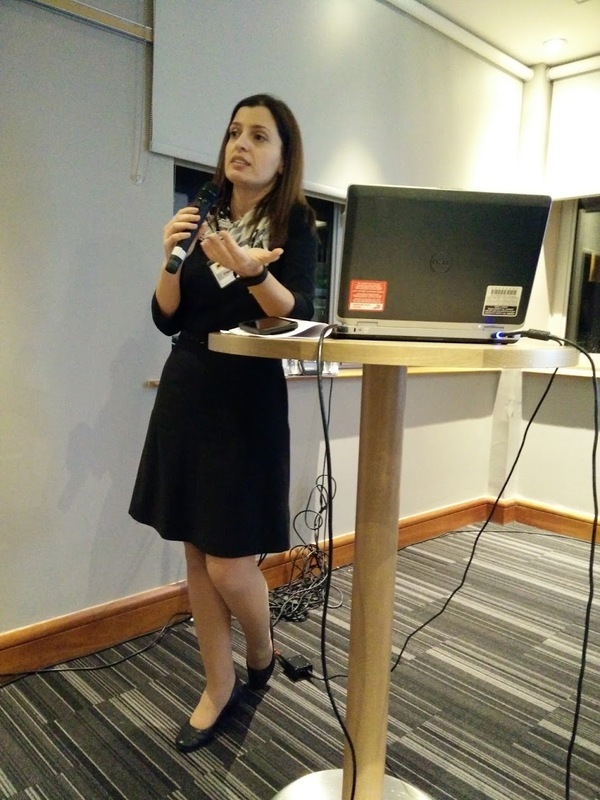 We then had a local talk from Claudia Vitolo of the European Centre for Medium range Weather Forecasts who started by showing us her career path, which alternated between academia and business and I think is something all speakers should spend some time discussing at these sorts of events. The ECMWF has very large data sets, currently at approximately 200 PB and growing by 200TB per day. As you can image there is a lot of data that goes into forecasting, and it’s not just the weather, but also problems like flooding or forest fire severity. She pointed out the vast range of skills needed and how data science was thought to be at the intersection of computer science, maths and domain expertise, but these people are like unicorns1 and now data science is considered a superset of lots of complementary skills in these areas. The key point Claudia made was that curiosity was the essential factor in this. One of the questions she got was whether the data science ever gave information that the experts didn’t already know. As you’d expect, the answer is sometimes: the data can affirm an expert prediction or highlight something they haven’t yet researched. Either way, the ability to make use of so much data and give accurate predictions is very useful. We then rejoined the WiDS2017 live stream for a talk by Sinead Kinaye of SAP. She had an interesting path also, starting her career with a fine arts degree and currently COO of products at SAP. It’s estimated that 76% of global business touch an SAP system somewhere. Data, storage and processing have all grown and Sinead reminded us that the Apollo 17 mission, who gave us the last photo taken by a human of our planet, had a guidance system with only 32kb of storage. A general singing birthday card has double this! Her talk focussed on the use of data. Board rooms used to decide actions based on gut feel and experience interpreting the spreadsheets in front of them. This is not working any more. It’s not the data that is the problem, we have too much of it, it’s the combination of creative curiosity and systematic discipline. An example of this is the Barcode of Life project. To classify 10 million species would take 10 thousand taxonomists 600 years. Using data science this can be achieved in a fraction of the time. If you can get involved in the barcode project, please do. Sinead also talked about using machine learning to overcome our cognitive bias, particularly in human resources. What was key to the end of her speech was that the choices we make now will shape our planet and we must have diverse ideas and approaches. To get a job in data science, you need business skills and domain specialisation, not just maths. After a short networking break, we had the panel discussion on careers. Myself, Nana Fifield (Sage), Mary Ellen Yarossi (retired) and Allison Aschman (IPA) all introduced ourselves and gave our backgrounds, again showing the diverse routes into data science (albeit from other sciences!). We talked about how our backgrounds had helped us in our careers, had being female helped or hindered us and the advice we would give to people hoping to get into these sorts of careers. Overwhelmingly we agreed that curiosity was key. If you had the tenacity and the problem solving, coding skills could be taught. If you didn’t have all the skills listed on a job description, go for it anyway and shout about your strengths. 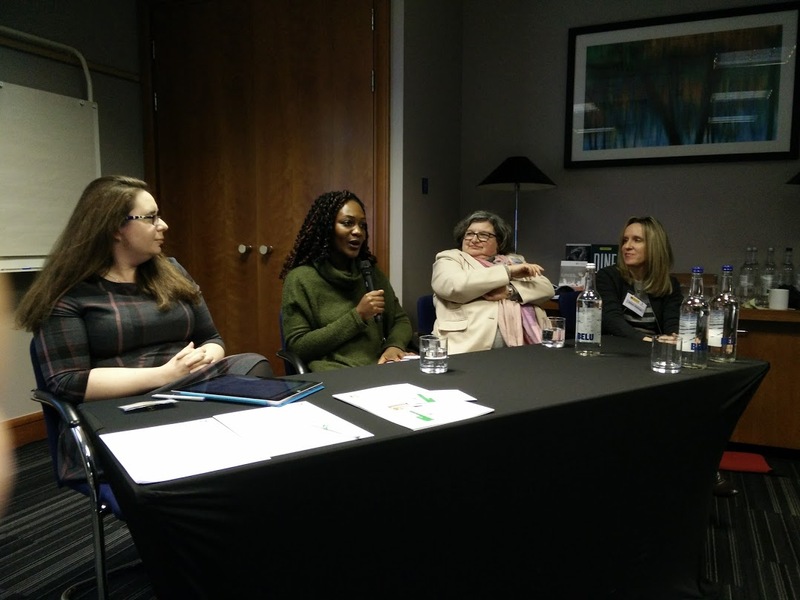 We got a question at the end asking “Why did we need to promote women in data science, surely the best person should get the job?” It’s a question that a lot of people ask and I’ve blogged about this before so I was happy to take it. The best candidate should always get the job, and if I found out I’d got a job because I was female and not because I was the best candidate, I wouldn’t take the role. However, we need to ensure that the people the best skills are applying for the roles, by encouraging people who don’t see themselves represented in these positions that they do have the skills and talent to succeed. I look forward to the day when we don’t need these sorts of events, but we are not there yet. It’s also not just about men and women, full diversity is essential – the greater the number of different perspectives and experiences that can be brought to a problem then the more agile and responsive the organisation will be to the problems it faces. We closed the evening with a networking session. I spent so long talking to some fantastic women that I didn’t even make it out of the conference venue to the bar where the networking was supposed to take place! I met women just starting PhDs, women changing career into data science and women still in the early phase of their career and wondering on the next step. I had a fantastic time, talking about all the things I love and volunteered to do a longer technical talk at a future meetup. From the twitter feed, the main conference and all the other regional events were just as successful and it would be worth attending the next one if you can. Thanks to the local Reading Data Science meetup organisers for a great event.